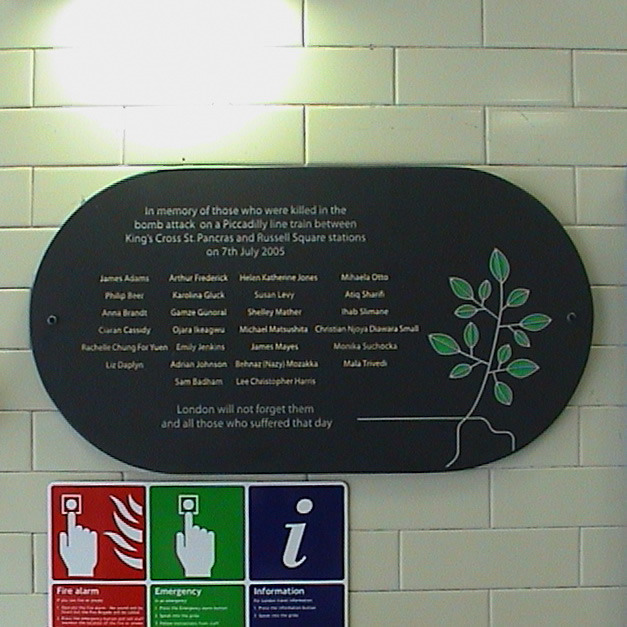 In memory of those who were killed in the bomb attack on a Piccadilly line train between King's Cross St. Pancras and Russell Square stations on 7th July 2005. London will not forget them and all those who suffered that day. This plaque is identical to the one erected at King's Cross St. Pancras. Sir Henry unveiled his own plaque.